Italy is known as one of the most pet-friendly destinations in the world. It cemented that reputation when a woman won a landmark case against the university she works for, arguing that she should be allowed to take time off to care for her sick dog. The woman, an academic at Rome’s La Sapienza University, identified in the Italian press by her first name, Anna, won the case with the help of lawyers from Italian Anti-Vivisection League (LAV), one of the biggest animal rights groups in Europe. The judges ruled that her employer should count her two days off under an allowance for absences related to “serious or family personal reasons” according to the Agence France-Presse. Their argument was helped by Italy’s animal rights laws that state: people who abandon an animal to “grave suffering” are to be jailed for a year and fined up to €10,000, the equivalent of just over HK$ 90 000. 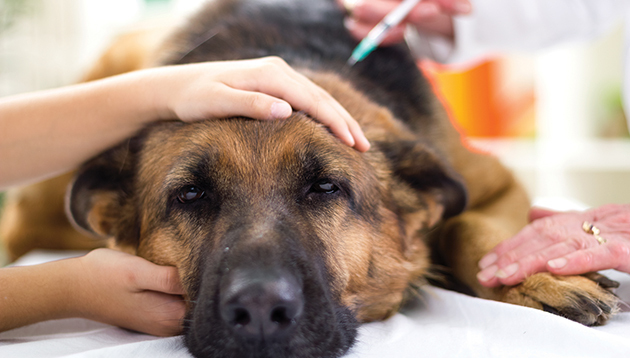 “Now, with the due medical and veterinarian certifications, all those who find themselves in the same situation will be able to cite this important precedent,” said Gianluca Felicetti, LAV’s chairman. In other parts of the world, some companies already have policies in place for taking care of pets. Scottish brewery BrewDog announced earlier this year that it was offering “Pawternity” leave to its employees, offering a week off for workers who get a new puppy or dog. While Trupanion and Kimpton Hotels in the US offer bereavement leave as part of their benefits to employees for when a pet suddenly passes away. Employee turnover now leads the list of HR's headaches, along with succession planning. How is HR dealing with such challenges?.. Pauline Chua, the firm's general manager, human capital & CSR reveals how she ensures the workforce is ready to meet future challe..
Who's more likely to find a long-lasting office romance - a cook, an IT manager or an HR professional? ..